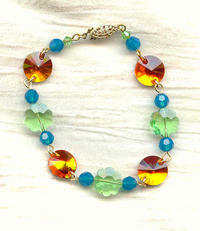 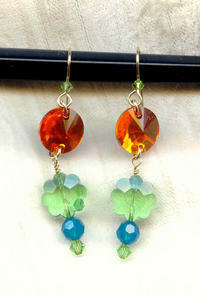 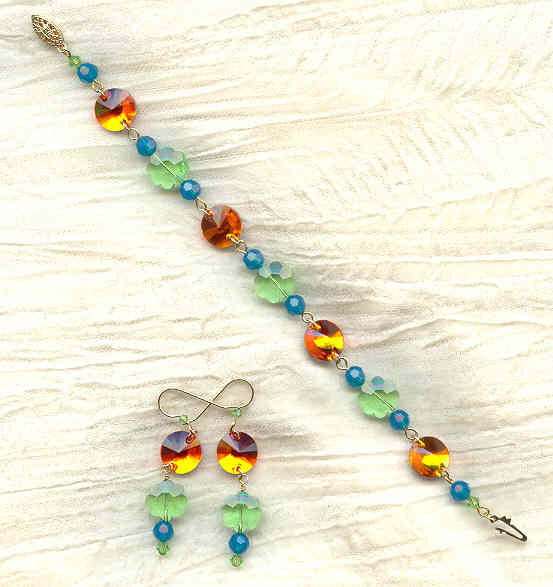 The sunny orange buttons and Caribbean blue opal beads combine with vintage peridot crystal flowers to make this spectacular bracelet and earrings set. The bracelet measures 7-3/4" long and closes with a 14kt gold fill safety clasp. The earrings dangle 2" from the tops of their 14kt gold fill French hooks. This absolutely dazzling set is brought to you by SPARKLE PLENTY, of course.